The Fireluke Mesh uses mesh kanthal coil heads to increase surface area and flavor. Another advantage to mesh is that it last much longer than the typical coil. The tank has a smooth airflow system and puts out tons of thick clouds. It is 24mm in diameter and holds 3.5ml of juice. The Fireluke Mesh takes sub ohm vaping to a new level with its unique coil heads. The tank has a fresh look that sets it apart from the sea of generic tanks out there. The Falcon is 25.2mm in diameter and holds 5ml of juice. It takes the last Arco tank to a new level. The tank has two huge top fill ports and big bottom airflow slots. It comes in six colors and there are currently four different coils available. Ideal for mid-wattage sub ohm flavor chasers! 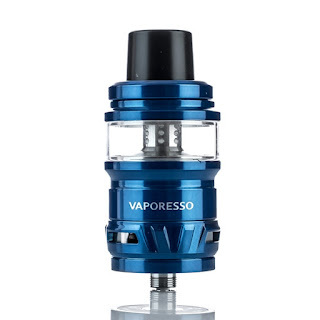 The Vaporesso Cascade tank allows you to vape at up to 200 watts! This 25mm tank holds 7ml of juice and uses an innovative plug-style coil head system. 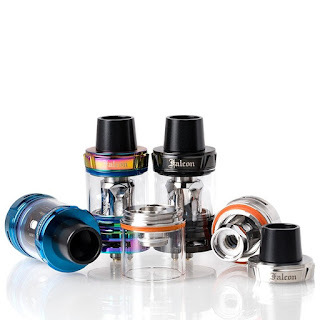 The tank comes with an adapter so it’s compatible with anything from the GT coil family. This means you can still get great flavor running it at just 25W! The Vaporesso Cascade uses a unique isolation structure design to provide the ultimate sub ohm experience.